Hi friends. Today I will talk short and will not be dreaming about cloudy skies and clouds of smoke. No. This article is kinda a pledge, like a promise to myself to widen my horizons and start looking more into other groups of websites dealing with something other than youtube. See, youtube yes, it has everything, all the new music is on youtube, no matter from official accounts or ripped from spotify and shared by some good people.. That is why I was so crazily narrow about it, all my articles, well, 90% of them deal with some youtube to mp3 converter or youtube video downloader, or both for sites like keepvid. I have literally written 2 reviews of facebook video downloader sites, and one single twitter video downloader. There’s a mentioning of soundcloud and a few articles on tech side, like going live on facebook. And so with this article I state my intent to broaden my views and concentrate more on things other than youtube. 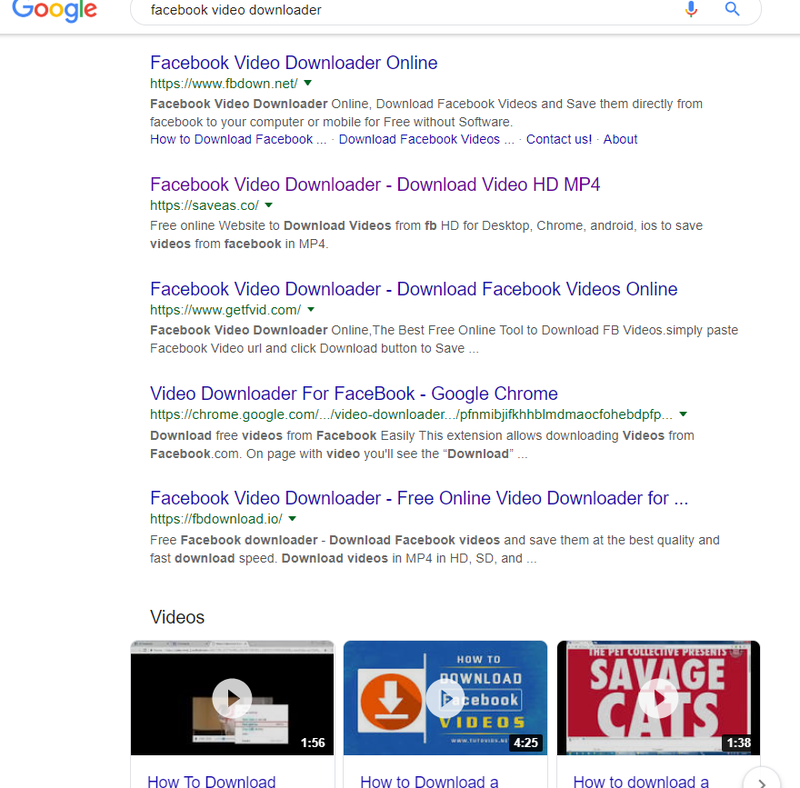 That is why now I will go on google and recite top 10 results for “facebook video downloader” it returns as my plan for the next few weeks of writing. And so..
saveas.co – Free online Website to Download Videos from fb HD for Desktop, Chrome, android, ios to save videos from facebook in MP4. a plugin for chrome.. ghm.. now i am thinking maybe should have searched for “Download Facebook Video” keyword..
another plugin.. or rather an app on google play. maybe i should resume non-website articles too.. i will think about it. savefrom.net – surprisingly… but i think page in google results leads to software offer. in any case.. savefrom is here. again 3 youtube videos.. i guess that is because people on mobile search for this a lot, and it’s easier for people on mobile to check out instructional video rather than read a quick instructional article on the site that actually works…. Qdownloader.net, download-fb-video.com, getfbstuff.com, downvideo.net, maybe some others i’ll find later.. seems like a plan! first one to come will be saveas.co, i guess. untill we talk again!